Life is not at all a bed of roses, and everyone must face lies or dishonesty sooner or later. As it is unavoidable, learning how to deal with liars is essential to restoring your inner peace, keeping your reputation sound and sparing yourself some pitiful consequences. The techniques of identifying and confronting a liar are available for everybody; it takes just a little practice, self-discipline and courage. 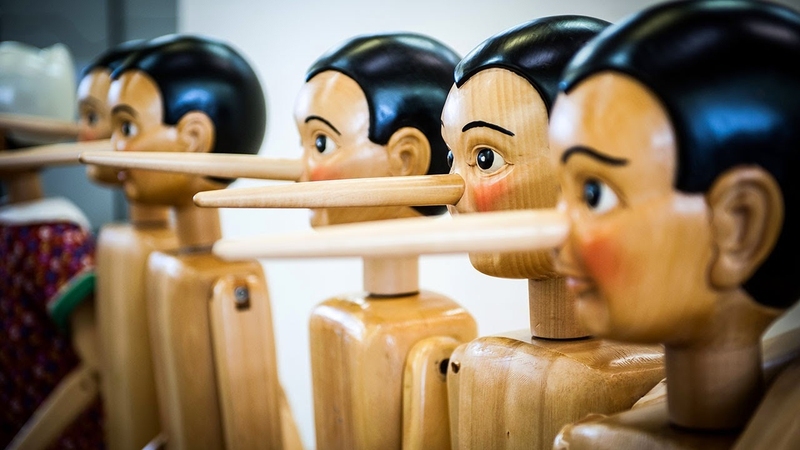 Read on for top 10 solutions to effective dealing with liars, both one-off and compulsive ones. A person’s body language always betrays, especially when you know how to tell the difference between honest and dishonest responses. Surprisingly, it’s not in the direct and indirect eye contact despite the stereotype. It’s more in the posture, the position of arms, blinking (no blinking, a blank stare can identify a liar) or the general fussiness of behavior that can suggest a person is lying. If you know what exactly to suspect, keep track of particular signs and compare them to the “honest” behavior. It will help to define behavioral patterns. We all tell little lies from time to time. Not saying it’s alright, but what if the liars you deal with try to manipulate the situation to their benefit? In this case, you should stay away from the possible impact and take actions accordingly. It’s crucial not to indulge the liar, especially when his or her lying is compulsive. The more people are or can be affected, the sooner you should make a statement and bring it to light if you are determined about how to deal with liars effectively. Some people can’t help avoiding inconvenient truth, using lies as their self-defense. If you see repetitive patterns in another person’s lies when asked about particular subjects, evaluate how harmful this deviation can be. If it’s just a psychological reaction to protect oneself that doesn’t go far, probably, the best option would be to leave it as it is and change subjects when appropriate. If you’re determined to lay bare the liar and reveal all the lies you have been told so far, it’s useful to document them, especially when the person in question starts confusing facts and offering different versions of the same occurrence. Or even call in witnesses to help you out on how to deal with liars, if it has gone too far and already affects or harms other people. Talk privately, avoid confronting the lying person in public or putting him or her to shame without having enough evidence for the fear of making a fool of yourself, first of all. A repetitive, compulsive liar is likely to have a plan B in case someone is bound to reveal them, so be prepared to resist a blow back. Don’t blame the liar straight away but try to understand. If lying is a method of peculiar self-defense, it may indicate that that person needs help, probably from a professional, or just a good listener. Hearing people lie about their family statuses, salaries, or their past as soon as it doesn’t harm others is a sign of emotional troubles. In this case, everything that is required is being a good, non-judgmental friend. When confronting a liar, explain yourself and your reaction, making it clear for the person that your trust is unlikely to be restored unless the necessary excuses are pronounced. Continuing on that empathic line, you should do everything to avoid a negatively charged response, and don’t let yourself lose your cool regardless of how hurt you may feel at the moment, this would be most constructive. One of the maxims on how to deal with liars says that provoking anger of the person you are trying to make to confess won’t get you anywhere. On the contrary, having a few strong arguments to support your point should contribute to a peaceful outcome. If you can’t help alone, call in for others’ help including that of professionals such as psychologists. Having someone to share your concerns with provides more opportunities for adequate help both to you and the deceitful person. It’s necessary though to make sure all these people come from reliable social circles. You should both take your time and evaluate the situation at a distance. If your relationships are important, you are sure to bounce back together. Still it’s likely to take longer for a liar to abandon a compulsive habit, so if you are interested in carrying on your friendship or partnership, be sure you are here to help and understand. Don’t expose yourself to possible harm and don’t become a victim of lying, especially when the lies lead to or cause abusing behavior. If you are the closest person to be affected by the deceit, try – on your own or with the help of your trusted friends – to get as far away as possible, without waiting and probing different methods of how to deal with liars if they are compulsive and abusive till it’s too late for you to escape.